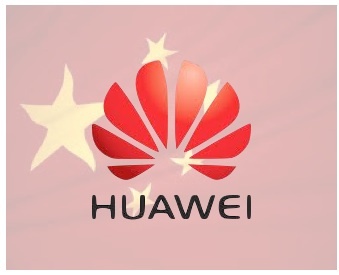 A group of Republican Senators are requesting the Obama administration block Sprint from receiving crucial telecoms gear from China’s Huawei. Why is the GOP standing in the way of trade? A group of U.S. senators are requesting a block on sale of crucial telecoms gear from China’s Huawei to America’s Sprint network, out of fear for our national security. But is this a real fear, or a piece of jingoistic fiction? Sprint Nextel is one of the top technology suppliers to the Pentagon and various law enforcement agency. The GOP Senators fear Huawei gear could contain circuitry that permits China to snoop on, or otherwise influence, sensitive operations through some unspecified remote-controlled hacking trick. But does this threat really hold water? As we’ve noted before, the government is more than happy to allow millions of American products to be manufactured in China (such as the iPhone). Huawei is the company behind all sorts of communication gear, including many of those 3G mobile broadband USB dongles. Can one argue that millions of iPhones, Android phones, and desktop and laptop PCs–each jam-packed with Chinese-sourced chips–represent a national security risk? Isn’t it just as likely that some of the circuitry in these is designed to snoop a far larger user base (including many government employees)? Besides, few global organizations have their hands clean when it comes to trading with questionable regimes. You may recall, for example, one of the largest suppliers of military equipment to Saddam Hussein in the 1980s: the Republican-led U.S. government.